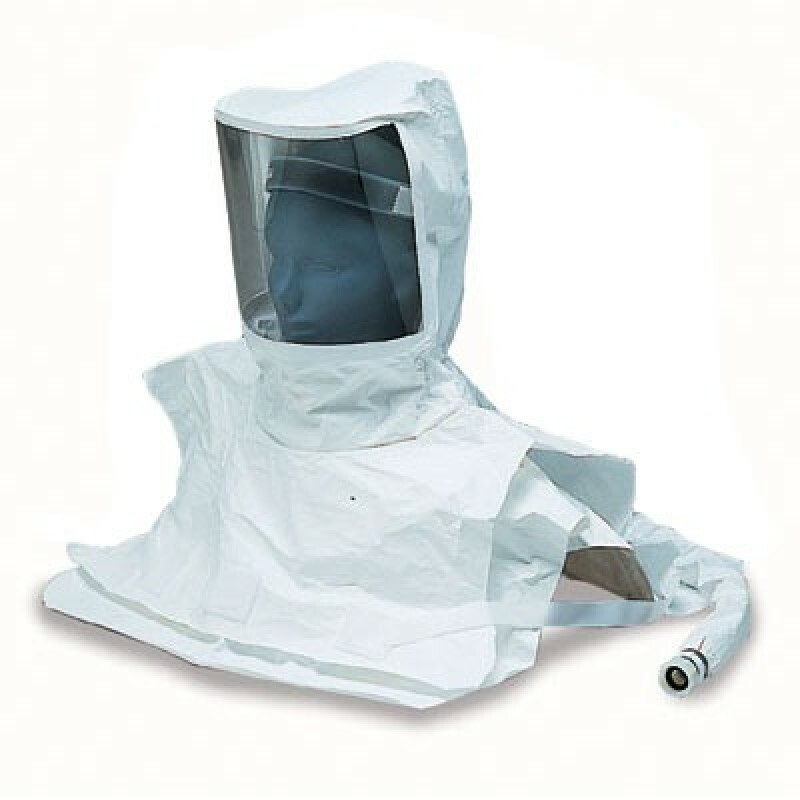 The Double Bib Maintenance Free Tyvek Hood is made of poly-coated Tyvek material. This hood offers the increased protection of two bibs. The inner bib tucks inside protective garments so air flows down for a cooling effect on the body, and the outer bib secures under the arms with hook and loop to keep the from rising up. 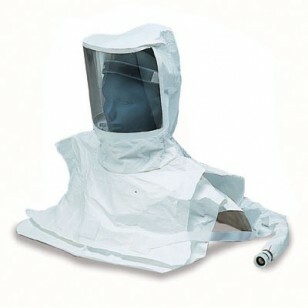 The hood features an extra large lens for better visibility. It offers the same convenient design with the down tube and suspension built in, making the complete hood fully disposable. NIOSH approved.